Day in and day out we have to decide what to do and where to go. Wouldn't it be nice to take a break from the constant pressure life puts on you? Imagine if someone else took control of your actions, and you could just relax and enjoy the ride. Well with this Marionette Kit, you can have somebody else pulling the strings and go with the flow. Fasten these cuffs around your ankles and wrists, snap the handle headband around your crown, and you'll be ready to go out for Halloween as a playful puppet! You can run around with a helpful cricket on a quest to be a real boy/girl or even star in your own boy band music video, once you add this Marionette Kit to your outfit. The best thing about this handy kit is that you can add it to just about any costume! Want to be a classic witch or werewolf? Make your costume more original when you enter the party as a puppet version of those supernatural beings. 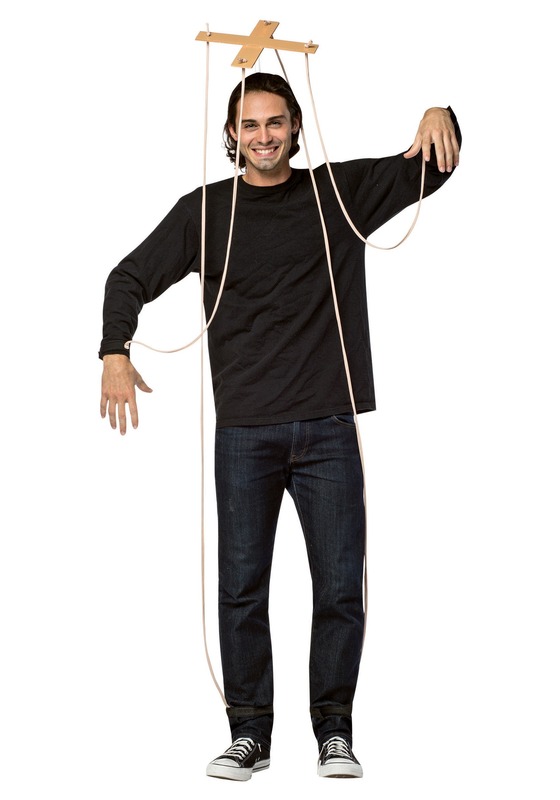 Be a marionette of any of your favorite fictional characters or any menacing monster when you add this easy to assemble kit to your costume!